Our proposal on Advanced Education Program on Carrier Development for International Students from Asia supported by METI and MEXT was approved in 2008. The program named "International IT Nisshin-kan" was launched in October, 2008 to develop and send global leaders from Aizu. In addition to nine international students who had already been in this program since AY 2008, ten students from Asia (one from Korea, one from Vietnam, two from India, and six from China) joined the program in AY 2009. Besides regular courses in the Master’s Program, new courses including business Japanese were provided to the students in this program through the University’s collaboration with industry. Local venture companies, companies in Fukushima, Tokyo, Nagoya, and other areas provided various supports to this program, such as sending engineers as lecturers, giving advice on development of the curriculums, offering internship programs, and preparation of supplemental textbooks associated with Aizu cultures, embedded systems, business skills, etc. All ten students, who had enrolled in this program since AY 2009, completed in September 2011, and started to work for Japanese companies, which was the original purpose of the program. One out of the ten students found a job at a company in Fukushima Prefecture. Starting from October, 2011, the "International IT Nisshin-kan" Program was relaunched as the University’s own industry-university collaborative program. 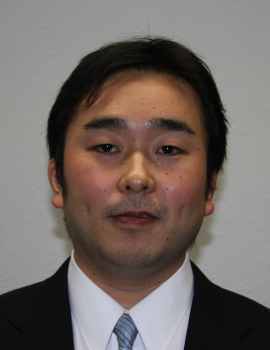 In March, 2012, one student (out of the nine) participated in a two-week internship program at a company in Fukushima, and learned safety/quality measures taken by the company as well as its corporate culture and atmosphere. Two students completed the IT Nisshin-kan Program in March, 2012, and started to work for a Japanese company, etc. The original goal of the program has been achieved in a steady manner.